See to the basic needs of your survivors and develop a team chemistry to work better. 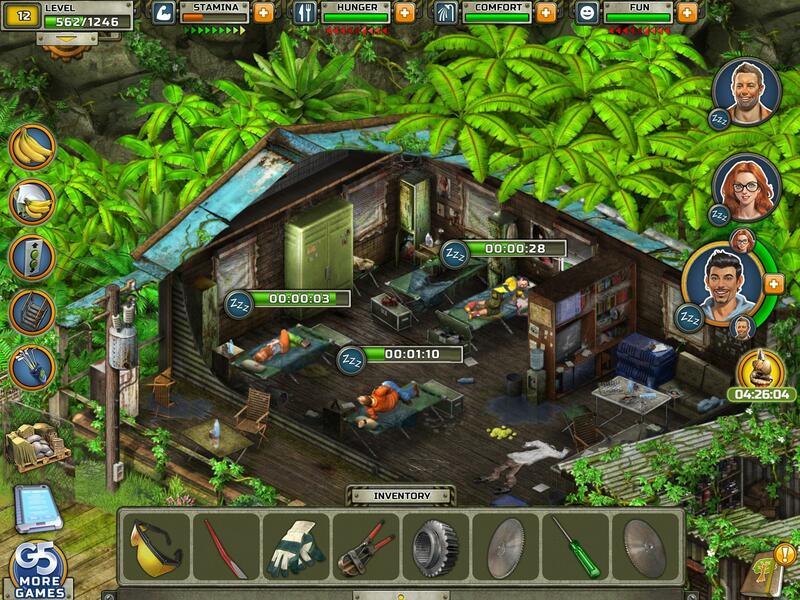 Survivors: The Quest is a great smartphone game that is all about survival. 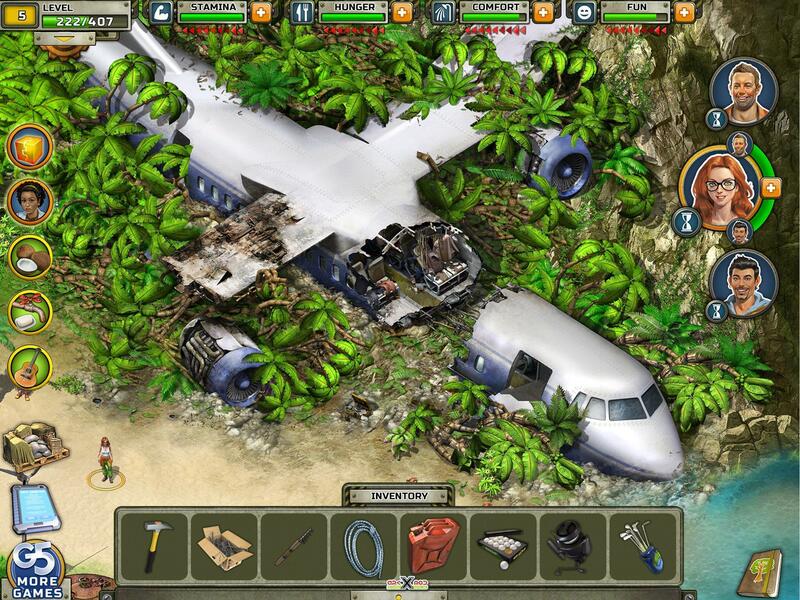 A plane has crashed in a deserted island with only two survivors. With mysteries like a deserted base camp and ghosts appearances, survive with the natural resources the island has to offer. Your goal is to survive and find out the truths of the island by completing different game quests. With a tap-and-play game mode, interact with different objects and complete the assigned tasks. These tasks also include playing a match-3 game with cool power ups and limited time, in order to complete the objective and proceed with the story line. Each task takes some time to finish which you can speed using gems in the game. Basically, your characters have four basic needs that need to be fulfilled in order to do the tasks efficiently. These attributes include stamina, comfort, hygiene and hunger. Use the natural resources the island has to offer and fulfill the needs of your characters. Feed on fresh fruits from trees, make your character rest on the bed in the deserted base camp, use the shower to keep them hygienic and keep completing tasks to increase their stamina. The game also features team chemistry. You can get your characters to develop a bond among them which is quite necessary if you want them to work together. Make your characters talk to each other, become best friends or a couple and complete the tasks more efficiently and quickly. Survivors: The Quest features amazing graphics that bring the real life surviving in the wild experience to your devices. With intricate detailed environment, the characters have been portrayed quite beautifully and the voice overs are excellent. Moreover, the real life sound effects and the mellow background music make the game even more enjoyable for the players. As you need gems to speed up your tasks, chances are that you might run out at a point during your game. Don’t worry though, because you can get free gems for every quest you complete. Moreover, you can also purchase as many gems as you can from the in-game store through real money at great discounted offers. Ever wondered what’s it like to survive on a deserted island? 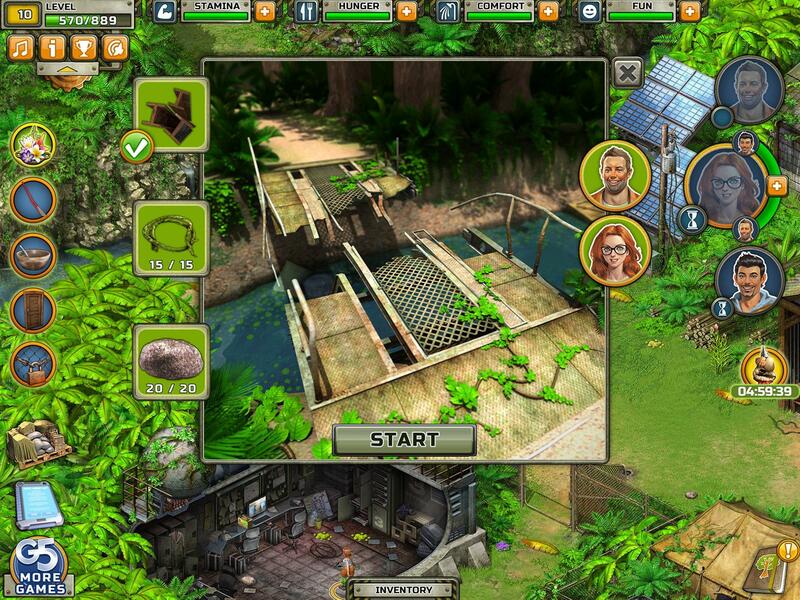 Find out in this addicting game and survive using the natural resources the island has to offer. Complete thrilling quests and play match-3 games to solve the mysteries and make your way back home. Try out Survivors: The Quest right now for some limitless entertainment.